Keys2thecoast is a free online resource that has emerged as a premier influencer, promoter and celebrator of what makes California’s Central Coast the internationally respected destination it is today. Our social media platforms, which include Facebook, Twitter, Instagram and YouTube, reach hundreds of thousands of visitors and followers every day. And our weekly blogs, and columns, published throughout California, reach potentially 2,500,000 readers every month. One of our primary goals is to harness the value of commerce, philanthropy, community, marketing, celebration, and promotion. That is why we’re pleased and excited to set aside this new space on our site to feature and showcase our community partners who are make the Central Coast of California the uniquely special place it is. So we hope you will hang out a while, check out the videos, and familiarize yourself with how we have been able to forge such a productive network of local economic producers, community service providers, knowledge and information exhibitors, and education boosters for the benefit of our region’s families, residents, businesses, and visitors. Since the early 1900’s the Oil and gas industry has been a part of Santa Barbara County's economic heritage. Leaders involved with the oil and gas industry, like Ed Hazard, President of the California Chapter of the National Association of Royalty Owners, can trace back over 100 years when his ancestors were thriving in what was - at that time - a new and exciting industry with incredible promise to change the world as those in that day knew and understood it. This is an important reality, because as new energy technologies are being developed and brought online, and that is a positive thing for our modern society, oil and gas supplies continue playing an instrumental role in powering Santa Barbara County's 21st century economy and, perhaps, even more importantly the county’s social safety net. Not only does the oil and gas industry in Santa Barbara County generate millions of dollars in annual revenues and royalties for our federal, state and local governments...the industry provides critical financial resources for our public safety agencies, including fire protection and fire prevention services. In Santa Barbara County, local property taxes are what are used to fully fund our countywide fire protection services, and also our other public safety agencies. Without a strong, secure, and sustainable property tax base, families would lack the level of protection they need, and are expecting. And it is not only fire protection and prevention services that our fire agencies provide, they also function as first responders in emergencies involving life and death situations. You can’t overstate the importance of communities fully funding the public safety infrastructure that families rely on. ExxonMobil not only generates wealth, resources and opportunities for Santa Barbara County families, and local governments, it is also an ethical and responsible operator and corporate citizen that has, from the beginning, understood its civic duty to make the community they do business in a better, safer, and more enjoyable place to live, work and play. Nowhere is this been more evident than the tax dollars they generate that fund core and essential local public services. ExxonMobil continues producing the efficient and affordable energy California residents require to power our vehicles, our homes, our businesses and our lives. And they have done it, and will continue to do it safely and responsibly. In other words, ethically. ExxonMobil can be counted on to be the world class operator, producer, and courteous neighbor that Santa Barbara County residents deserve. 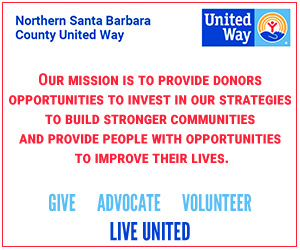 Northern Santa Barbara County United Way fights for the health, education, and financial stability of every member of our community. Our education programs include Imagination Library, which promotes childhood literacy, and Reading Plus, which helps children and teenagers catch up to their grade reading level. Our main financial stability programs are our Volunteer Income Tax Assistance program and My Free Taxes, which are in person and online tax assistance programs. Another program, Home for Good Santa Barbara County, works to prevent homelessness in Santa Barbara County, and it is supported by our AmeriCorps Partnership for Veterans and People Experiencing Homelessness. All of our programs work together to support, empower, and protect our community's most vulnerable members. We fight for the future of Santa Barbara County, and United, we win. 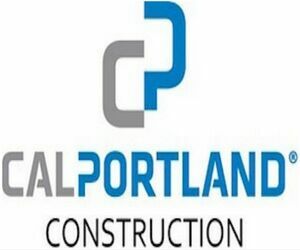 Our mission is to prepare the people with whom we work for the obstacles and successes they will face in their lives. Some of the more vulnerable individuals experiencing homelessness with whom we work need mental health services, financial support, or other supportive services to help them maintain their housing, but through the power of these partnerships and through the generous contributions from our major donors, we are able to connect recent, long-term, and chronically homeless individuals and families with the housing and support they need to stay off the streets. These partners and donors also help us to ensure that our local children do not fall behind and stay behind in literacy levels, and we work with the school districts in North County to ensure that all children have the opportunity to be ready for college or careers once they graduate high school. We also partner with Allan Hancock College and Cal Poly to provide our in-person volunteer tax assistance program each year. We believe in our mission, and so do our partners, donors, and recipients of our services. We believe that we can tackle our community's most challenging problems if we Live United. Please visit our website at www.LiveUnitedSBC.org to learn more about what we do and how you can get involved. Santa Barbara County’s agricultural community is dedicated to providing food of the highest quality and safety to serve the sophisticated and changing tastes of our community, our state, our nation, and the world. Our County’s mild weather and rich assortment of varied microclimates, soils, and topography affords local growers with the ability to produce a nearly endless variety of crops to satisfy the demand for food of the greatest variety and highest quality. Our agricultural history has been dynamic, from its early cattle ranching passed down from its Spanish and Mexican land grant days to American pioneers who brought dry farming practices to the valley, to the present day with arguably the most diversified array of specialty crops produced anywhere. While dry-farmed beans and grains were king in the early 20th century, the invention of transite pipe and the installation of widespread irrigation systems in the 1920’s and 30’s paved the way for the crops we see today. Soon, vast acreages of potatoes, sugar beets, and many vegetable crops covered our agricultural lands. Over the years, many major crops came and went as markets and tastes changed - chili and bell peppers, artichokes, lima beans, and others, once prominent, are now seldom seen. A transformational change began in the late 1940’s when the Sheehy family introduced commercial-level strawberry production in the Santa Maria Valley - from those modest beginnings, strawberries have become one of the leading crops, not only in Santa Barbara County, but in much of coastal California. In the late 1960’s, our County’s modern vineyard and wine industry was pioneered by wine grower Louie Lucas and others, and has now grown to be the area’s most identifiable agricultural resource. Santa Barbara County’s beef and dairy production have, unfortunately, declined over the years. The county’s once-numerous dairies, most often founded by Swiss, Portuguese, Italian, and Danish immigrants, have now disappeared, and cattle grazing acreage has declined, mostly due to volatile markets and conversion to more intensive agricultural uses. While acreage may be down, Santa Barbara County’s cattle industry is vital to our County’s rural nature because ranchers, through their stewardship of the land, are vital to preservation of natural habitat and viewscapes so important to our residents and visitors. Diversity is the underlying strength and the foundation of Santa Barbara County’s agricultural achievements. From the earliest Spanish and Mexican ranchers, to the later arrival of American and English farmers, to many who followed in the 20th century - Portuguese, Swiss, Filipino, Japanese, and Danish, as well as those who left midwestern dust bowls or the lack of opportunity in their native Mexico - all have come in search of a better place and a better life, and all have joined to help build the dynamic industry that characterizes Santa Barbara County agriculture. Families and family farms and ranches have long been the core of our County’s ag community, and they continue to be. Today’s Santa Barbara County agricultural family may not all be related by genetics, but all are united through a common goal and commitment - to provide the highest-quality and safest products to satisfy the tastes and needs of the consumer - locally, nationally, and globally. Santa Barbara County agriculture may look different in the years to come as it adapts to meet the changing demands of the marketplace, but its greatest asset, its diverse foundation of people committed to providing the finest products on the planet, will remain.